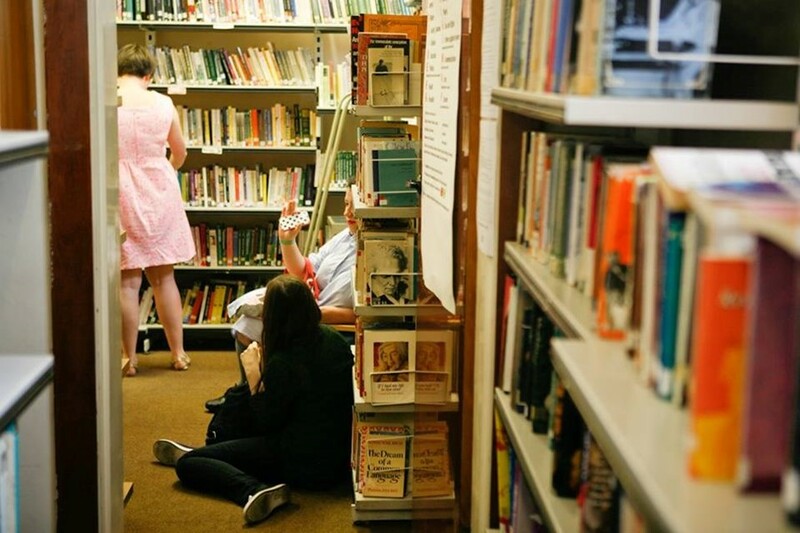 The Feminist Library, tucked away in Waterloo, is celebrating the end of the season with a Summer Fayre this Saturday (September 15). You may not have known the small, essential library existed, living as it does in a relatively inconspicuous second-storey space in south London – but the volunteers who run it are raising money to move to a new premises, after they were threatened with a rent increase by Southwark council two years ago. They won a campaign against the rent increase, but staying in their current building is unsustainable, and so they’re on the hunt for a new home. This latest event is one way you can support the archive’s continued existence. The Feminist Library was founded in 1975. Its mission is to “safeguard women’s history”, as stated by Oldziejewska. Its collection can be divided into different sections: non-fiction, fiction, poetry and periodicals. The non-fiction collection, which holds about 5000 books, covers art, politics, women’s history of mental and physical health, and the Women’s Liberation Movement. You can also find everything from self-published to well-known, commercial women poets. Additionally, there are about ten thousand different magazine issues and newsletters from feminist groups and organisations from around the world, and two to three thousand pieces of ephemera (flyers, tote bags, badges, posters). The majority of the works can’t be found online or even any other libraries. Check out a detailed program of the event and get your tickets here; and donate to the Feminist Library’s fund for their premises move here.